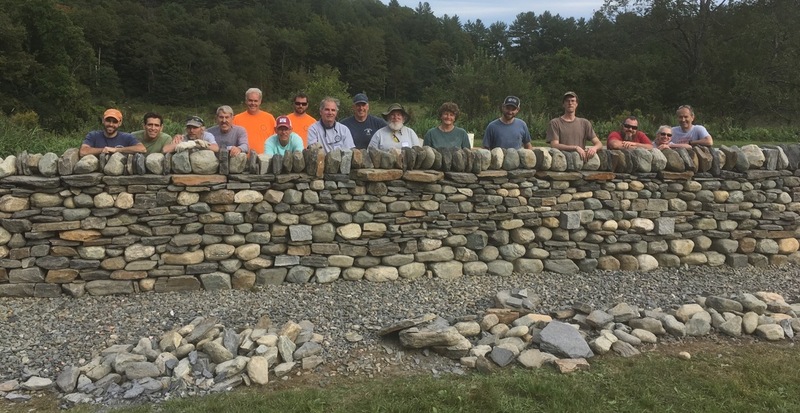 14 folks with a passion for stone walls came together from seven different states to learn the craft of dry stone wall building. They came from as far away as Nevada, Colorado and Montana; the others came from MA, NY, PA and MD. Over the course of 2 autumn days, the participants learned all the basics of structural walling while building a straight section of free standing dry stone wall in the Master Feature Park. Questions about specific projects were answered and the knowledge taught in this workshop can be applied to any of their dry stone walling projects.